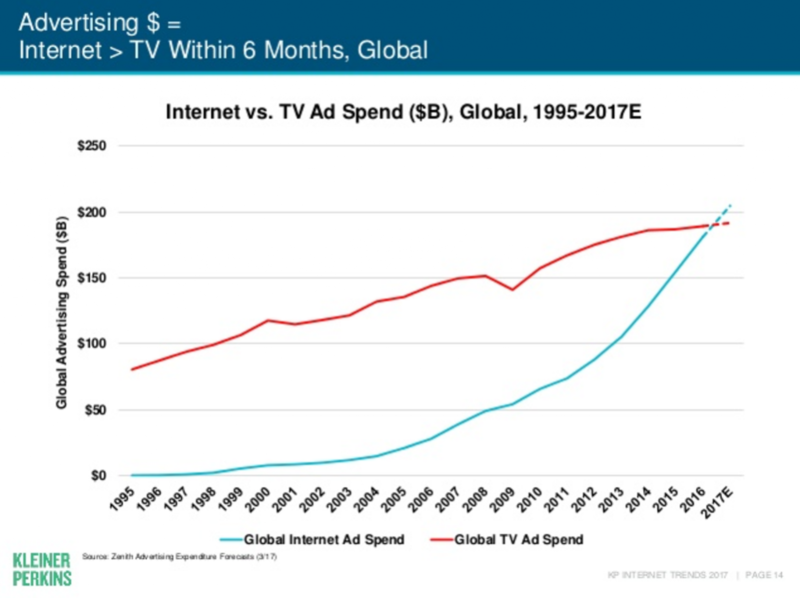 In the report she goes on to show the incredible shift in advertising dollars to mobile, and the major shifts in platforms, technologies, and mediums that are finally disrupting the old models of marketing. I thought I would take a few minutes to pull out some highlights and relate them to how TUNE is answering these trends. I could not have produced better validation for our mission and vision. The last three years were a race to be mobile first. Most of the innovation and disruption came from business models that were able to shift the user experience to mobile, simplifying the path to purchase, book a ride or hotel, and of course, play a game. Over the last year, we watched a major awakening in the Fortune 1000 with a new goal to become mobile best. These are companies that might not have a clear path to disrupting as a mobile first company, but mobile is equally critical to their success. In fact, our Unicorn Dinosaurs report features Fortune 1000 companies that are dominating their categories because they have what? Mobile users. That goes for companies you would never suspect like Caterpillar or Home Depot whose market cap shows growth from their commitment to mobile. Ever wonder why Amazon has grown so powerful? Just take a look at their mobile user base of 750 million across their apps. Is Amazon a mobile first company? Not exactly, but the way their mobile experience ties across their overall experience is critical to their customer engagement and growth. Everything we’re building right now is focused on bringing together web and app, bringing together the marketing tech stack so that marketers don’t need to use siloed solutions for each medium. The mobile strategy and the desktop strategy and TV and out-of-home strategies are all one, because they all influence one customer. This has been true for the entire existence of the TUNE Marketing Console. 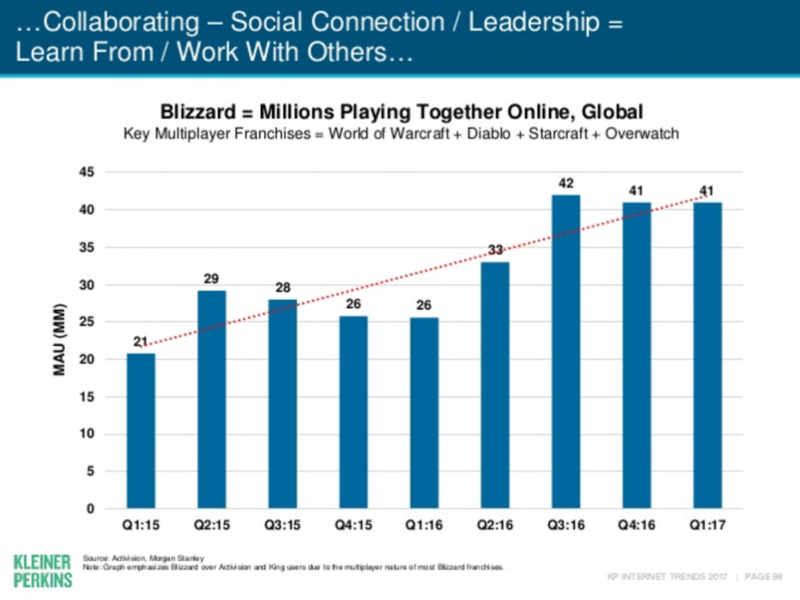 Marketers from major game companies transformed our offering, putting our scale and usability to the test. They paved the way for a real operational path to scale mobile advertising campaigns, and they’re still innovating faster than anyone today. Meeker even goes so far as to say that Gaming is responsible for the foundation of nearly every internet service, from graphics and computation to messaging and downloadable content. Games continue to lead the way, and she points to a next evolution to come from VR and AR. 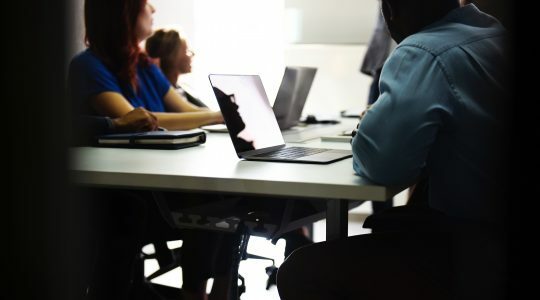 Launching new products to analyze fraud (with more on the way) and giving gaming companies now the most granular ROAS reporting in the industry is going a long way toward supporting that innovation. Making these things simple and commonplace lets marketers reach further forward rather than spending days in spreadsheets and reconciliation reports. If you haven’t checked out the most recent innovations on Multiverse… you should. With the help of mobile, Internet Advertising is not only the fastest growing, but in the next six months it will become the largest advertising channel. But why? It is all a factor of “time spent.” I like to make the analogy to the real estate market in Seattle right now. Our average home price is still $750k while our neighbors in San Francisco and Vancouver see an average of over $1.5M. That means we’ve got A LOT of room to grow in Seattle because of how quickly our population is growing along with tech company investments coming into the region. Now we have Amazon, Google, Facebook, Snap, Strip, Uber, and Starbucks all continuing to grow massively. 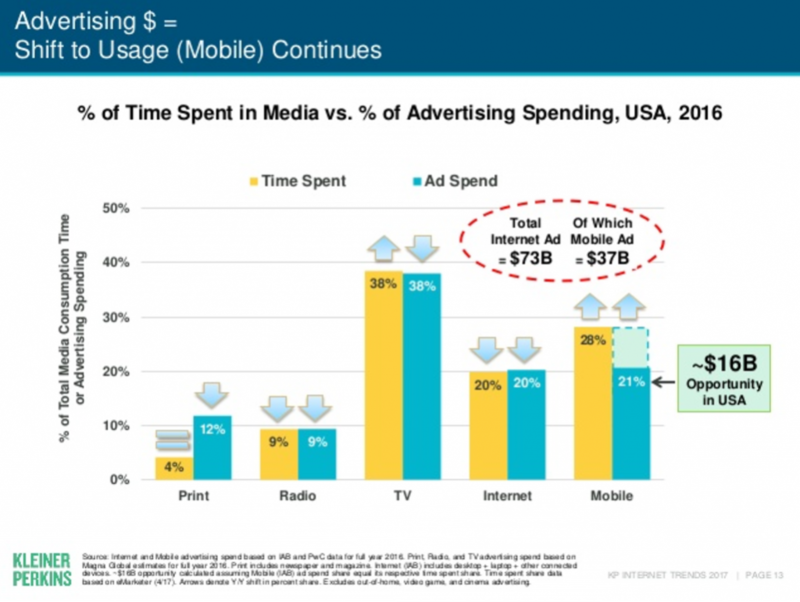 The same is true when we look at time spent on media and the proportion of ad dollars going toward that time spent. 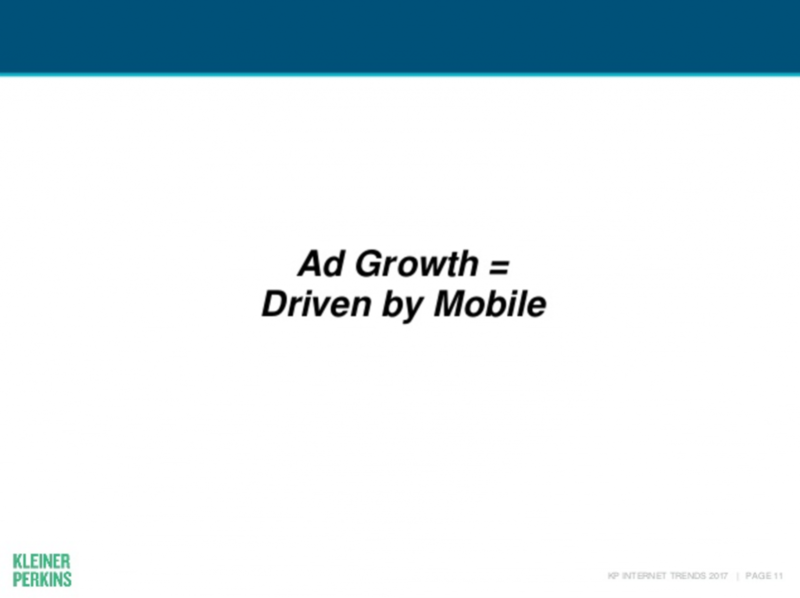 Even though time spent on mobile has risen to 28%, we’re still only seeing 21% of ad dollars going toward mobile. That leaves an opportunity of $16B! This is something we’ve always known at TUNE, down to our core. In fact, it is the balance beam on which Facebook balances every single day. The most valuable thing Facebook has is the ability to target their users for ads. At the same time, users are very concerned with information anyone uses to target them. It is a catch-22 of sorts, but riding that balance effectively can be extremely lucrative, as we’ve seen in Facebook’s earnings. The same goes for measurement generally. Marketers need to measure their effectiveness to prove the value of advertising, while consumers don’t want their behaviors known by all. With the power of measurement comes the responsibility to uphold privacy policies and respect the consumer at every turn. This is a core tenet to all of our technologies at TUNE, acting as a leader in policy and practice when it comes to privacy. 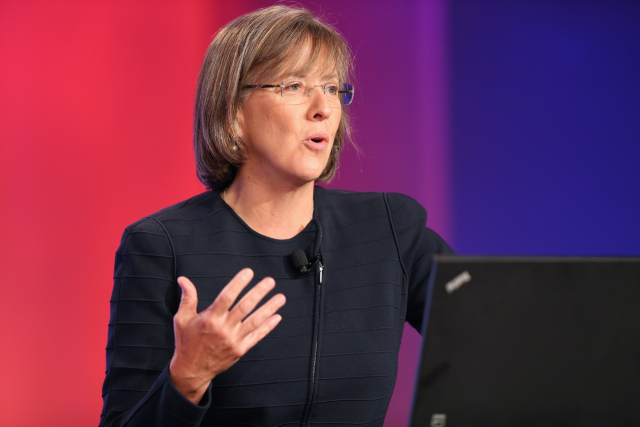 Interestingly, there was no mention of third-party measurement in Meeker’s report. Strange. How many marketers do you know that don’t use a measurement platform, that either they’ve built or they license from a SaaS company? 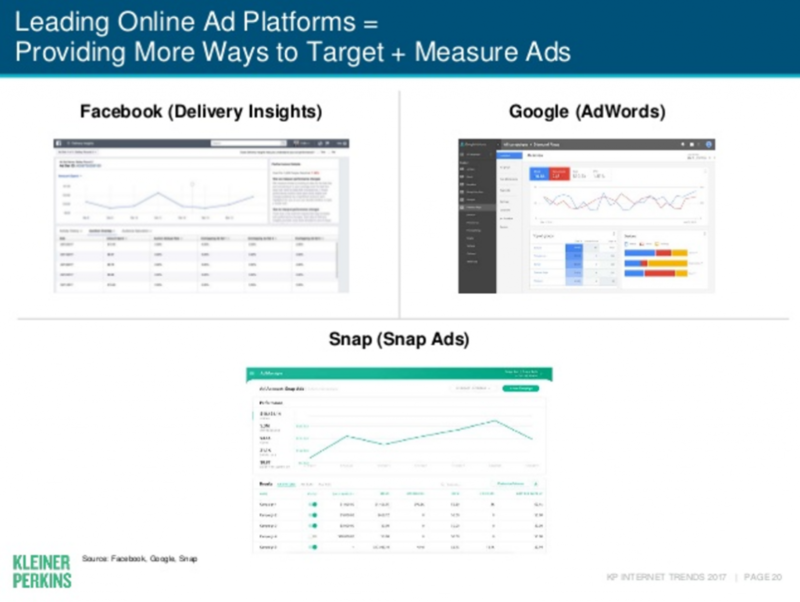 Of course every major platform must provide basic tools to demonstrate performance, but this image strikes a chord directly on the biggest problem for marketers. Those are three different dashboards with isolated/walled data. How do marketers reconcile them together? Customers move effortlessly across platforms and throughout the web, yet our analytics systems continue to struggle to bring those into one record of the customers. What good is attribution if you can’t see the rest of the customer journey? It is like taking a snapshot in time at the Olympics before the finish of the race. Yes, every part of the race is important, but the whole picture is what gives you insight into how to run that race better the next time. 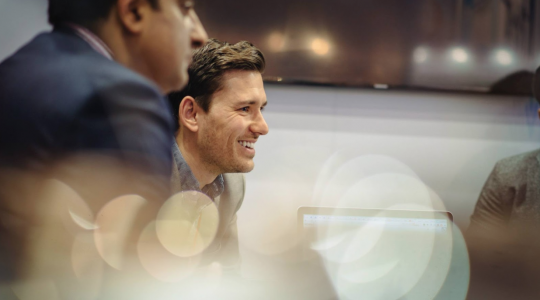 Marketing technology must be people-centric, and that means bringing together channels, platforms, and yes, even devices into one record. This is actually part of our mission statement as the future of marketing technology must be people-centric in order to make sure targeting is natural, data is kept private, and the full picture of a consumer journey can still be mapped. You’ll see us make huge strides in this over the coming year. 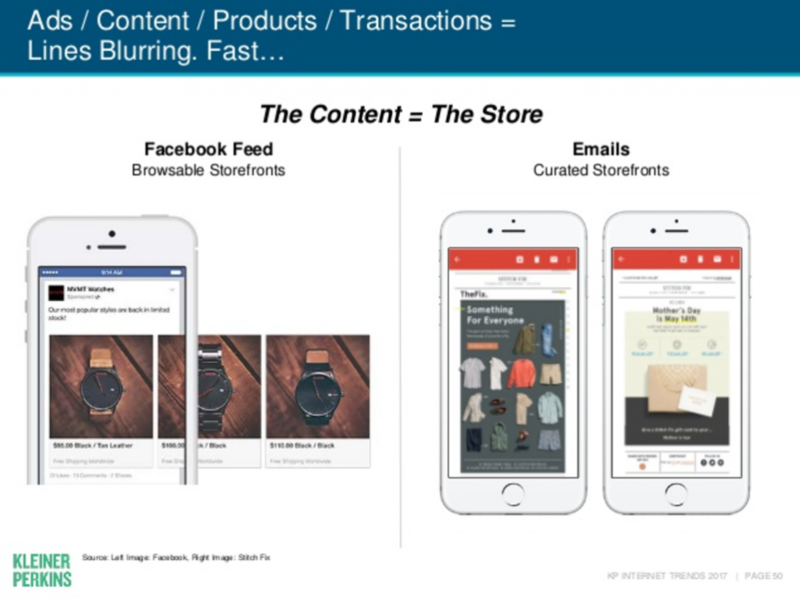 I can absolutely confirm that retail is by far our fastest growing vertical of marketers rushing to mobile. It isn’t just because it took retailers some time to get their heads around the opportunity of mobile, though for some companies that was a greater struggle than others. The reason retail is about to explode is really because of so many advancements in technology and platforms. Meeker points to many different shifts, including things like ads serving as complete store fronts. 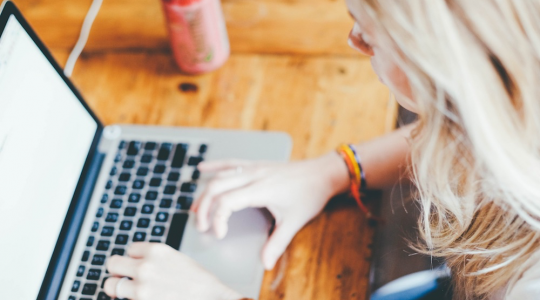 A consumer can literally flip through an entire product catalogue while in the middle of a Facebook ad, or see a wall of inventory in an email campaign. Consumers are invited to stop on by, browse our selection. When you really think about it, the feeling is no different than wandering down your farmer’s market road on a Sunday. Take in the sights and see what’s going on in town, and while you’re there, stop into the shops. Transactions are always a major key to unlocking a new space, and that has been revolutionized over the last couple of years. Now, making a purchase from a social feed, inside a different app, or even more easily on web is so much simpler. Any retailer can take advantage of these transactional opportunities. How many times have you made an immediate purchase right from your Facebook feed? Have you made a purchase with Apple Pay or Google Wallet in a web browser? It’s getting incredibly simple. 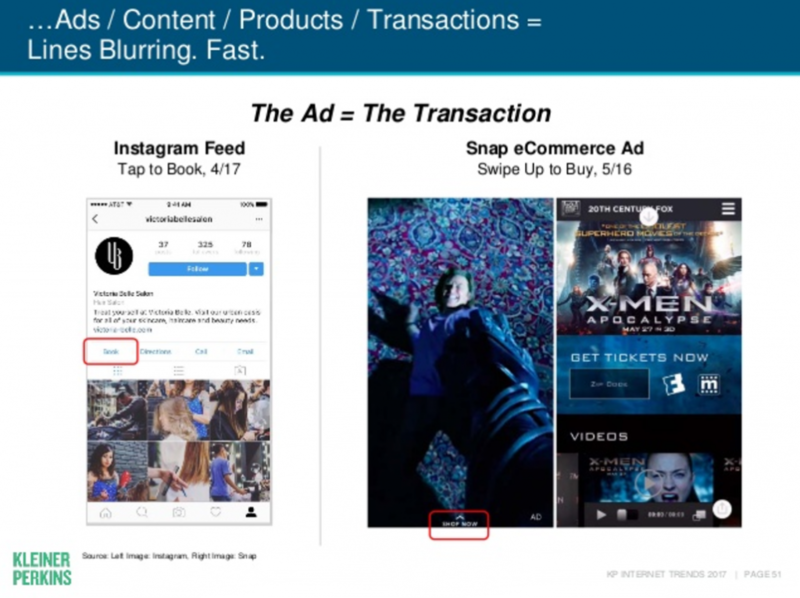 This leads to a much better ROI model for mobile advertising. What really comes through in the first quarter of this report is the fact that mobile is at the center of the growth story for nearly every company right now. That said, it is part of a complete strategy across desktop, TV, out-of-home, and more, which is true for both the way the products are consumed or bought, as well as the way they are marketed. The amazing thing about the mobile revolution of the last decade, is that mobile is there while you are watching TV. It’s there with you out of your home. It’s in your pocket wherever you go, and in your hand whatever you’re doing. But people still buy on their desktop. They buy from their smart TVs. They buy from their wearable devices. And all of that needs to be connected for marketers to really understand and serve their customers. That’s why the marketing stack of tomorrow needs to have people at the center, rather than specific channels or devices. They need to act more like massively scalable CRMs that keep record of millions, even billions of customer relationships… while adding attribution, measurement, actionability, and fraud protection. They need to do so while respecting the wishes of the consumers while also delivering the insights needed to determine ROI. That is the future that we are building at TUNE, and what an exciting time it is.